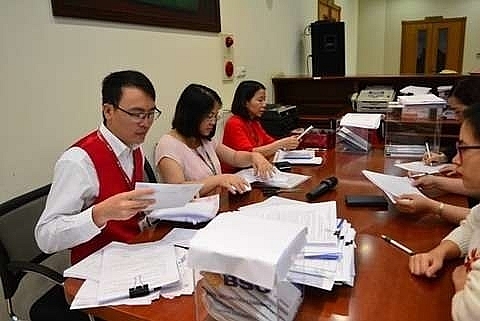 The Ha Noi Stock Exchange (HNX) organised five auctions for divestment in November with total transaction value of more than VND9.7 trillion (US$415 million). The auctions were held for the Viet Nam Construction And Import-Export Joint Stock Corporation (Vinaconex), the Ha Noi Housing Development and Investment Joint Stock Company, the Water Transport Company under the Viet Nam National Coal – Mineral Industries Holding Corporation Limited (Vinacomin) and the Viet Tri Paper Company. About 376 million shares were put up for sale at the auctions, but up to 997 million shares were ordered, 2.65 times more than the offered amount. As a result, all 376 million shares offered were sold for more than VND9.7 trillion. In the last 11 months of this year, the HNX held 36 auctions, including 25 for divestment, 10 initial public offerings (IPOs) and one for purchase rights. Of over 1.98 billion shares offered, about one billion shares were sold for VND20.8 trillion, reaching 54 per cent of those on offer.